This was our teams first experience with Escape Rooms and we all had a blast! Really fun, this room definitely requires you to THINK, and stay ORGANIZED. The puzzles were a good mix of easy to difficult, requiring the whole teams participation. Would recommend delegating jobs to each team member (Note taker, Code trier, search team etc..) 5 stars! Based on a true story. In 1934, two bank robbers and highly wanted criminals decided to expand their criminal resume in an attempt to score big. The plan - a kidnapping. Their first and only victim - Charles Ross, the retired CEO of a large company in Chicago. Kidnapped at gunpoint on North Avenue, Ross spent weeks in a small hideaway in Emily, Minnesota while the masterminds were planning an elaborate ransom delivery. Ross had one opportunity to escape, but to do so, he had to somehow escape his locked room. Will he make it out alive, or will he fall victim to the kidnapper's plan? 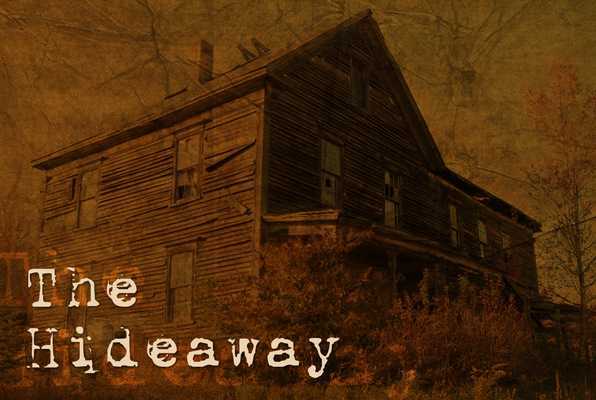 Reviews of escape game "The Hideaway"
Great experience for our friends, my wife and myself. There was another couple that joined us, but we still had an absolute blast. The location was moved temporarily, but I don't believe that made it any less enjoyable. Have already been recommending to our friends and family! The Hideaway was the second Room Escape that we have been through. We had so much fun and it was a big challenge for us, especially since we were the only two who booked the room for that evenings time slot. That's right, just the two of us trying to solve a room designed for 6 people. We did not make it out in the slotted 60 minutes, but since no one else had booked the following hour, Steve was kind enough to let us continue. It only took us an additional 15 minutes. This was by far, one of the best date nights, we have had. Hidden Key Escapes, is by far, better than Movie night. We look forward to returning to attempt the Storage Room, or any other rooms that Steve comes up with. Thank you for a most enjoyable evening. My friend invited me to a room escape and I'm glad she did because it was a blast. It was an interesting and enjoyable experience and I want to come back and bring some other friends. Hopefully we'all get out next time. This was my first time doing an escape room and I would definitely do it again! There were so many layers of clues to solve that I stayed engaged for the entire hour. Whenever we got stuck on a clue, the "Game Master" provided additional hints upon request so we didn't stay stuck for long. My group didn't end up escaping the room within the time limit, but we look forward to returning and beating the challenge. This is a fun outing for any kind of group and I would strongly recommend Hidden Key Escapes. We were 15 seconds over the hour to complete the escape and had a great time working together to solve the puzzles. We were a diverse group and everyone was able to participate and enjoy themselves. This was a great experience. We thought we would never be able to solve one clue (All of us are in our 50 and 60's), but we were shocked at our ability to use the clues and unlock the boxes. Great Time, we would highly recommend this escape room to our friends!! Really fun an awesome experience. The room looked really simple at first but ended up being really challenging and enjoyable. A challenging and enjoyable escape!! Lots of different types of puzzles put the emphasis on teamwork--both beginners and experts alike will enjoy this escape. While this was only my second experience attempting an escape room, it was definitely the best one so far. The puzzles were challenging and engaging until we ran out of time and beyond. Thankfully the owner gave us a little extra time to finish the escape, and I'm sure we could have done it in time with a bit more focus and organization at the beginning. Unlike the other escape room I tried, there are enough "paths" to go down while solving puzzles simultaneously to keep all the members of a large team engaged. I would highly recommend this place, and I'm excited for another room to open so I can go back! My group of friends ended up doing the Hideaway. This is only the second escape room I've done, and it was a blast! 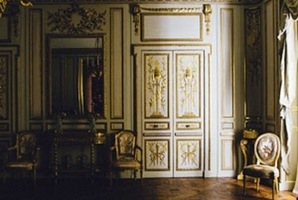 I plan on going back for other rooms in the future.There was a vast amount of codes to figure out for all the locks, and several in depth ways to find the clues. Definitely fun when you have 6 people trying to all work together. Team work and communication is key! Great job, Hidden Key Escapes! The Hideaway was a challenging and very enjoyable outing for myself and my friends. I had done an escape room before but a few in my group had not. They came out of it saying how much they really enjoyed the experience and how exciting it got near the end (we escaped with less than 20 seconds left!). Lots of locks and codes with increasingly interesting ways to find them.